Eager to start doing more travelling this year? You need the right camera for that. If you are the backpacking type, you probably prefer a more compact, efficient camera. That way, you do not have to carry so much on your way. The best compact camera is all you need. Still, there are so many models out there. It also depends on which places you travel to. It will be ideal if one compact camera is enough for everything, right? Hopefully, these seven (7) best compact cameras for travelling in 2019 will truly inspire you. Read before you choose one. This compact camera is pretty large and capable of a bigger sensor—with 20.1 megapixels. It has a built-in, EVF viewfinder. It can do a continuous shooting up to 10 fps. It has a 4K video recording, so you can record your travelling moments live on the spot. Whether you are a beginner or an intermediate, this camera is user-friendly. Unfortunately, the zoom range for this camera is rather limited. 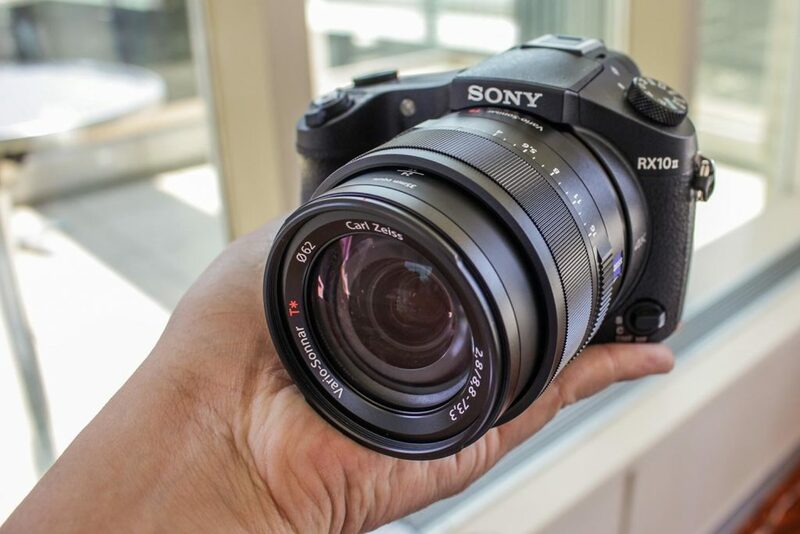 Sony Cyber-shot RX10 III does not have any touchscreen. As long as you are happy to record your travelling time in any way, lack of zoom range should not be a problem. This is another compact camera perfect for travelling. For starters, it can zoom between 24 to 70 mm. It has 20 megapixels. Sony RX100 V is not just the camera for travelling, though. With the minimum megapixels, it can point and shoot. There is also another reason why Sony RX100 V should be the best compact camera. Besides being small enough to put in your pocket, this camera has the same features as their bigger, mirrorless rivals. Slightly more expensive than its “older sibling”, Sony RX100 IV, this camera has another type perfect for underwater shoots. If you travel and are also a professional travel blogger, take this with you. Panasonic Lumix ZS200 / TZ200. This is also the most advanced travel zoom one you can purchase. It has a larger sensor than most compact cameras, which is an inch. The zooming skill is so decent, and you get to zoom up to 15 times. 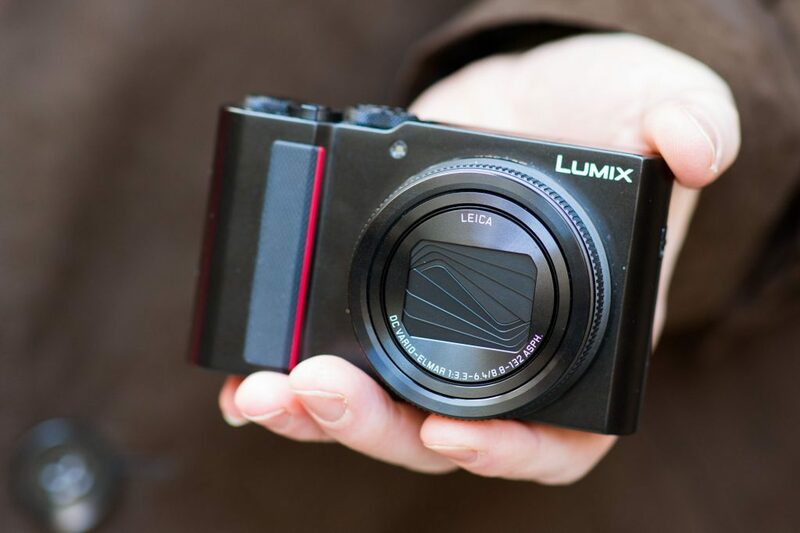 Panasonic Lumix ZS200 also has a 4K video recording, which makes it more ideal for travelling. Unfortunately, the EVF viewfinder is still pretty much cramped. Plus, for a compact camera, you might need to have a bigger budget. To purchase this online, prepare between 650 to 750 dollars. If somebody says that Canon G7X is the best compact camera for travel vlogging, you had better believe it. It can zoom between 24 to 100 mm, which is quite a long range. The size of its sensor is rather small but still quite acceptable: 13.2 mm x 8.8 mm. For point and shoot, Canon G7X makes it perfect for travel photography. There is a flip-screen for vlogging. You can record up to 1080p video before your battery runs out. Plus, there is a decent microphone attached to it. 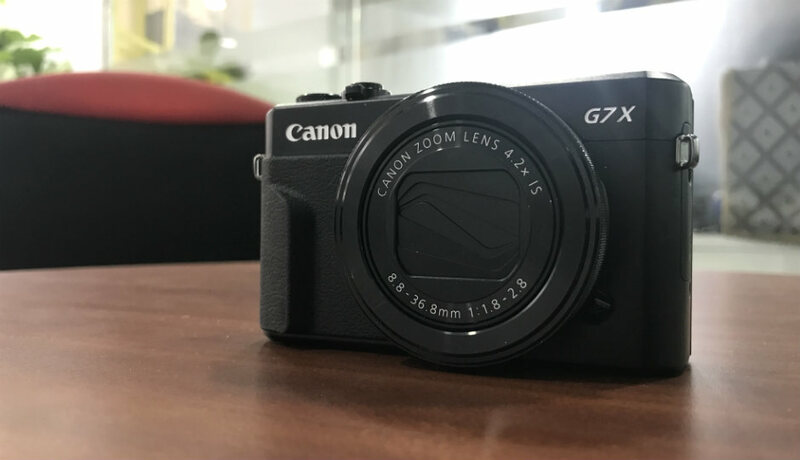 Whether you are a blogger, a vlogger, or even a YouTuber, Canon G7X makes a reliable companion. Start shooting, start recording it all. 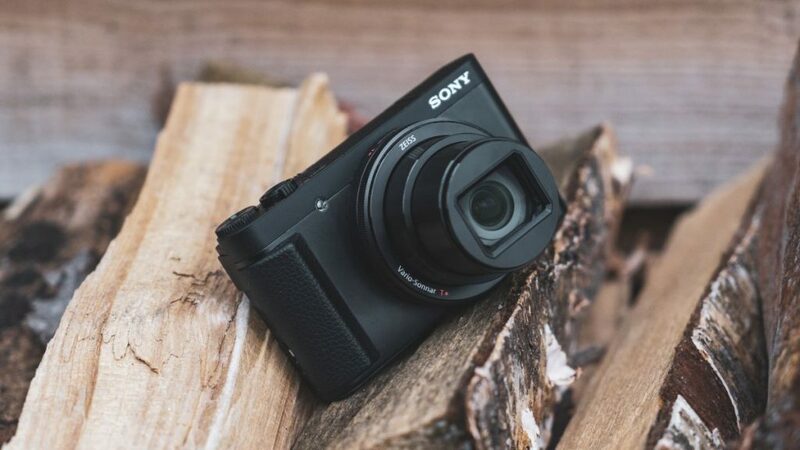 Also known as the pocket powerhouse of Sony, this compact camera is another candidate for your next trip. It has 20.1 megapixels, and the lens can zoom between 24 to 200 mm. With the EVF viewfinder, this camera offers blistering performance. The AF sensor is very decent. 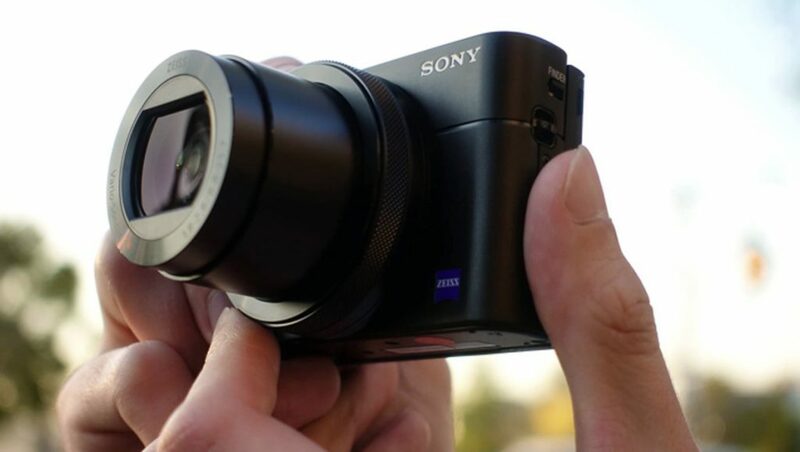 Sony Cyber-shot RX100 IV also has a 4K video recording. Unfortunately, you may need to have a bigger budget, because this camera is expensive. However, if the performance satisfies you, then you will find a way to purchase this. Perhaps this is your first year to try something more extreme during the holiday. To record your first adventure ever, take GoPro Hero 7 with you. It can zoom between 15 to 30 mm. 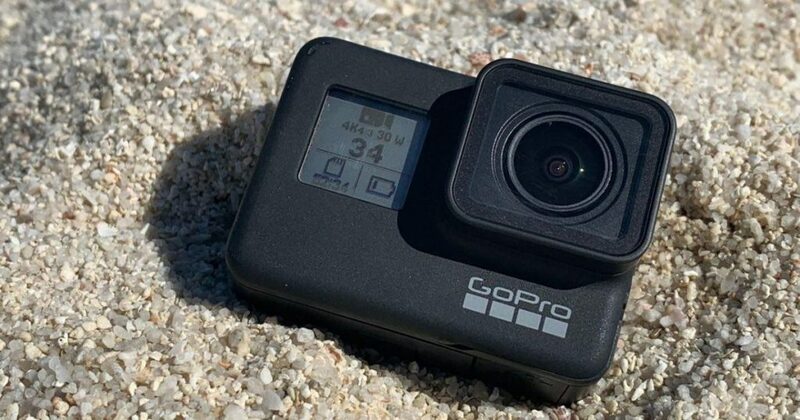 Besides its 12 megapixels, there are more reasons for GoPro Hero 7 to be the best compact camera. With its well-improved, video stabilization, color, and 4K video recording on a slow-motion, create some dramatic shots while you go rafting or bungee-jumping. It is also waterproof on the case and touchscreen, so it is safe to carry while rafting. 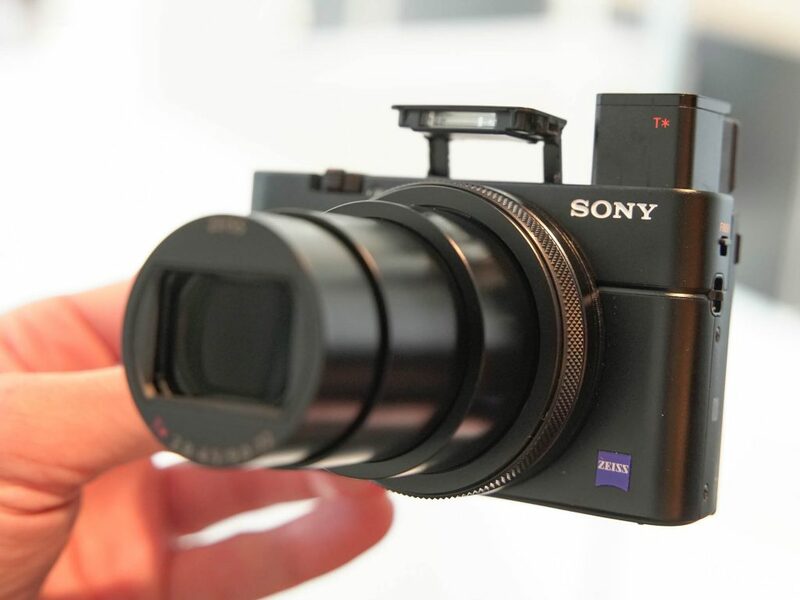 This is the compact camera that has a 30x optical zoom and a built-in EVF. This feature can help you to go past under the harsh, bright light for better pictures. If you wish to purchase this online, just prepare about 450 dollars. The two weak points of this camera are the low-resolution viewfinder and the cramped controls. The 18.2 megapixels sensor can capture better photos than your smartphones do, although probably not so much. No worries, you can still tweak the raw captures after they have already been shot. So, which one is the best compact camera for you? Whatever it is, hopefully, it will give you a satisfying result during your travelling.